A custom shipping quote is required for the following items due to their large size and weight. 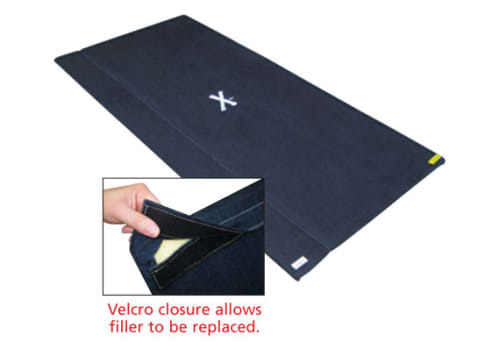 For custom mat sizes or for a shipping quote on standard sizes, simply request a quote. X-marks the spot on this gymnastics sting mat that features a soft yet strong brushed denim top surface. Intended to help make dismounts more comfortable by providing additional cushioning with its 1.5" thick, 3lb, 90 ILD, high rebound, foam filler. Approved for use in competition by both USAG and FIG. 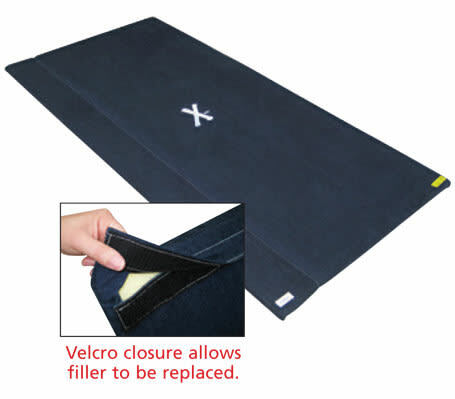 New covers feature hook & loop (like Velcro) fastener closure for easy washing and foam replacement. Approved for use in competition by both USAG and FIG.